Nach mehreren Besuchen in Lincoln gibt es hier eine kleine best of Serie. Das Wetter war nie wirklich optimal für tolle Bilder. Wenn die Sonne scheint, gehen wir meistens in die Natur. Städte sind unsere Schlechtwettervariante. Aber ich habe gemerkt, dass die Fotos in scharzweiß trotzdem einigermaßen wirken. 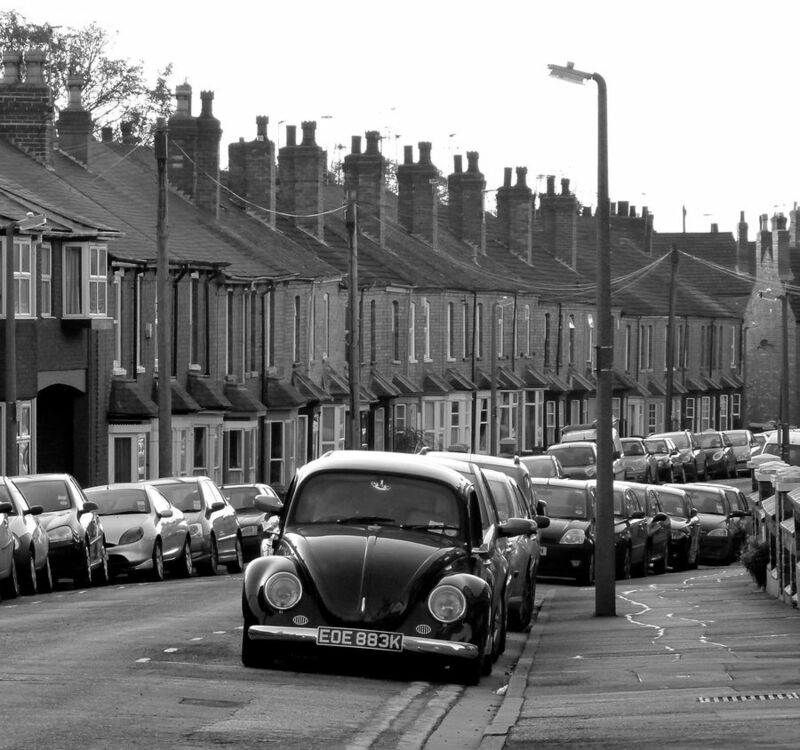 After several visits to Lincoln this is a small best of series. We never had exceptional foto weather. That’s mainly because we use the beautiful days for hiking and geocaching in the countryside. Towns are the bad weather alternative. But I guess in black and white the pictures still work. On the other side of the bridge it reads "Where have you been?" 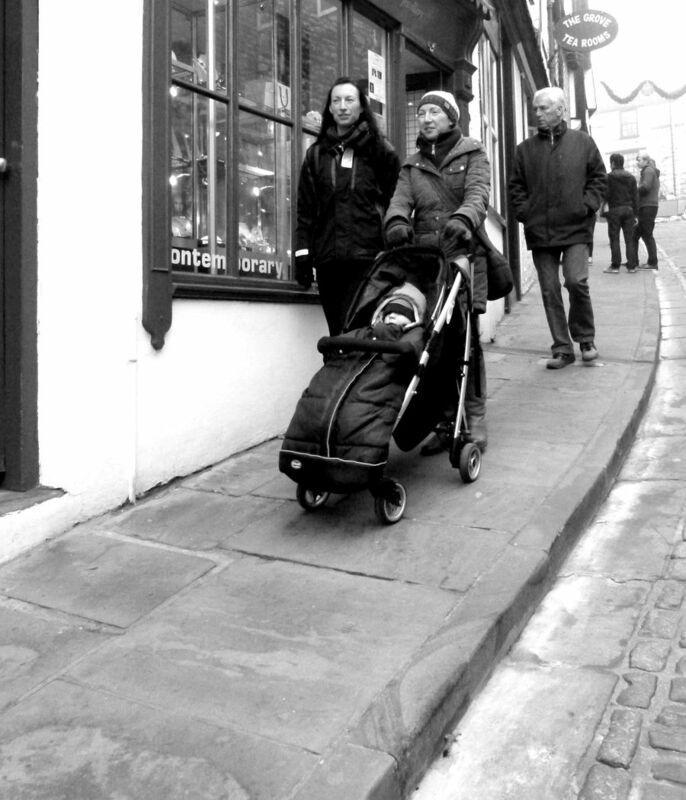 I was walking Alexander in his pushchair so he would find some sleep. So I had enough time to think about the two questions. Personally I am more interested in the past. 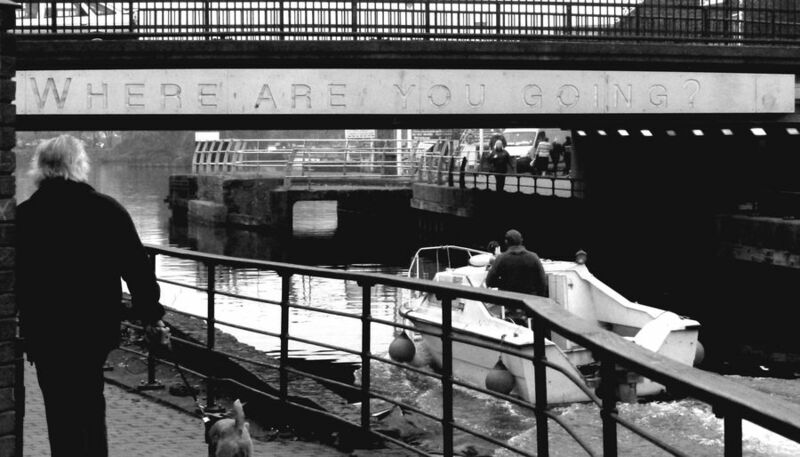 But I wonder what the homeless man under the bridge would have said if I had asked him "Where are you now?" Empowerment. 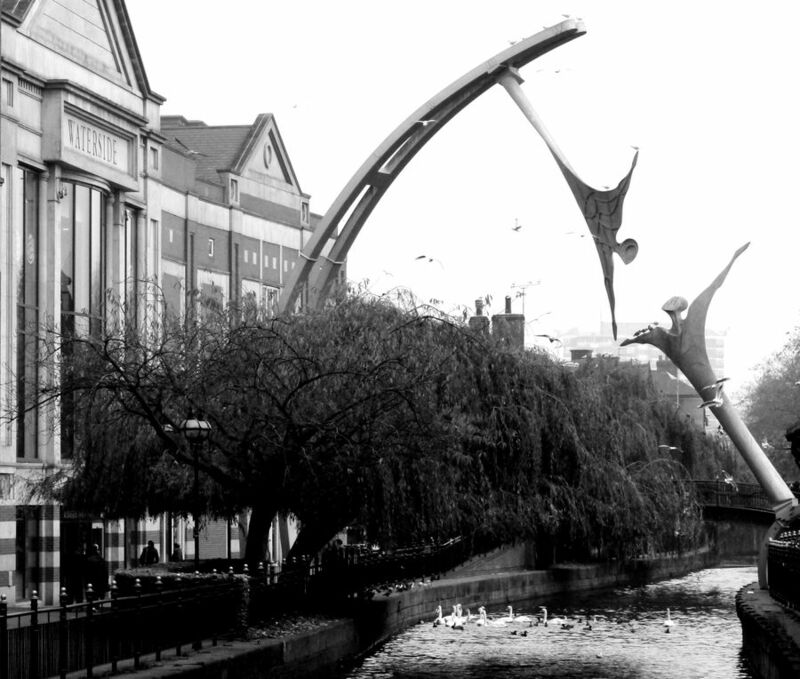 That is the name of the sculpture spanning the river Witham in Lincolns city centre. 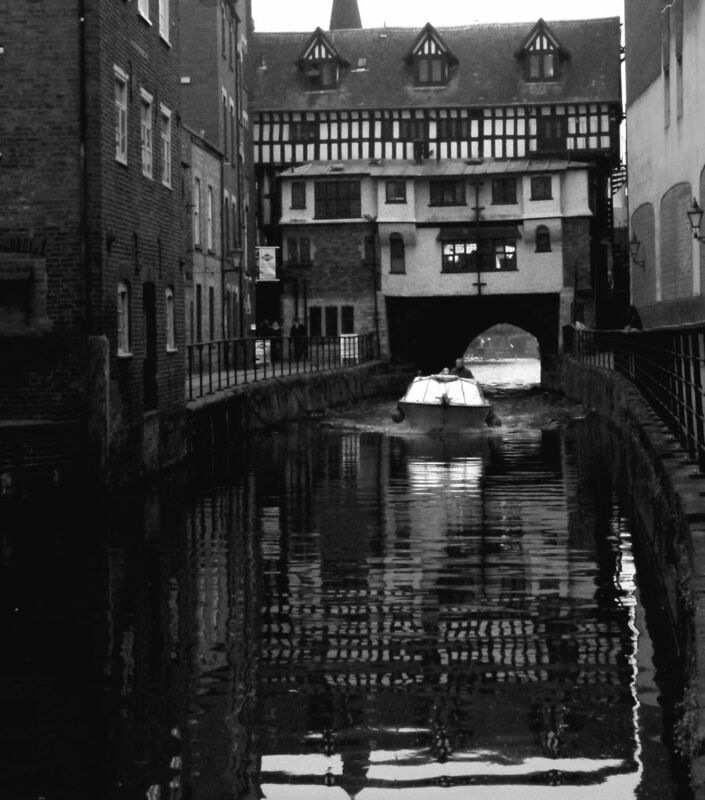 A few hundred metres on, the river spreads into Brayford Pool, a lake around which the settlement of what is now Lincoln began in the first century BC. Later the adjacent hills were settled by the Normans who built the Cathedral and the castle. Brayford Pool served as an importand inland port until the railways and road traffic took over goods transports. 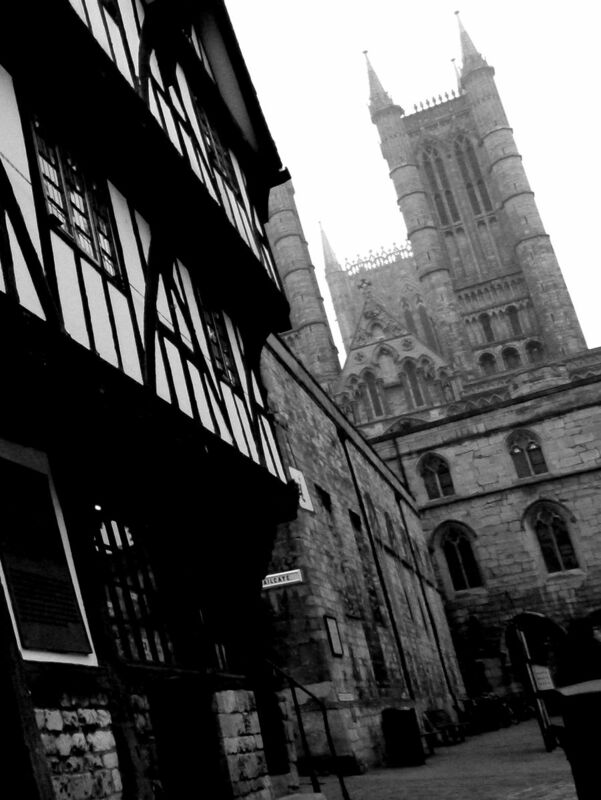 Lincoln's High Bridge was built around 1160. The buildings on it date from about 1550. It is the oldest bridge in the UK with buildings still on it. Awkwardly, the low and narrow passage underneath it is being called "The Glory Hole" by the locals. 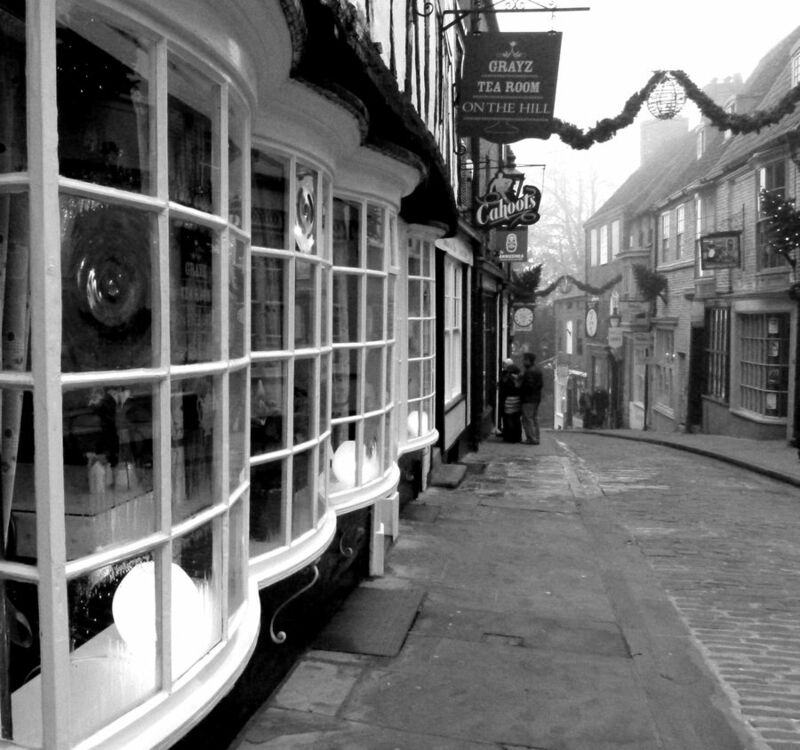 The streets between the city centre down by the river and the Cathedral up on the hill are very picturesque, small shops in old houses, quirky used book shops along with cozy tea rooms and cafés next to the butcher's and fine leather hand bag boutiques. Ina, Katja with Alexander, and Peter descending the Steep Hill that connects the Cathedral quarter with the city centre down by the river. 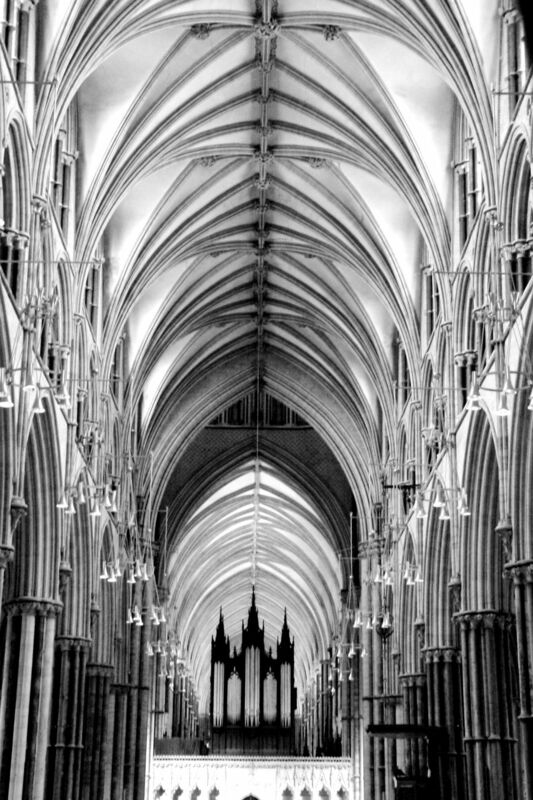 For me Cathedrals like this have something a bit eerie about them. I cannot help but think that all the resources that went into building and maintaining these structures over the centuries, could have been put to much better use. However, that doesn't stop me from admiring the feats of architecture. After entering the Cathedral you cannot but be overwhelmed. It actually looks much bigger from the inside than from the outside, a sensation that can hardly be conveyed in photographs. 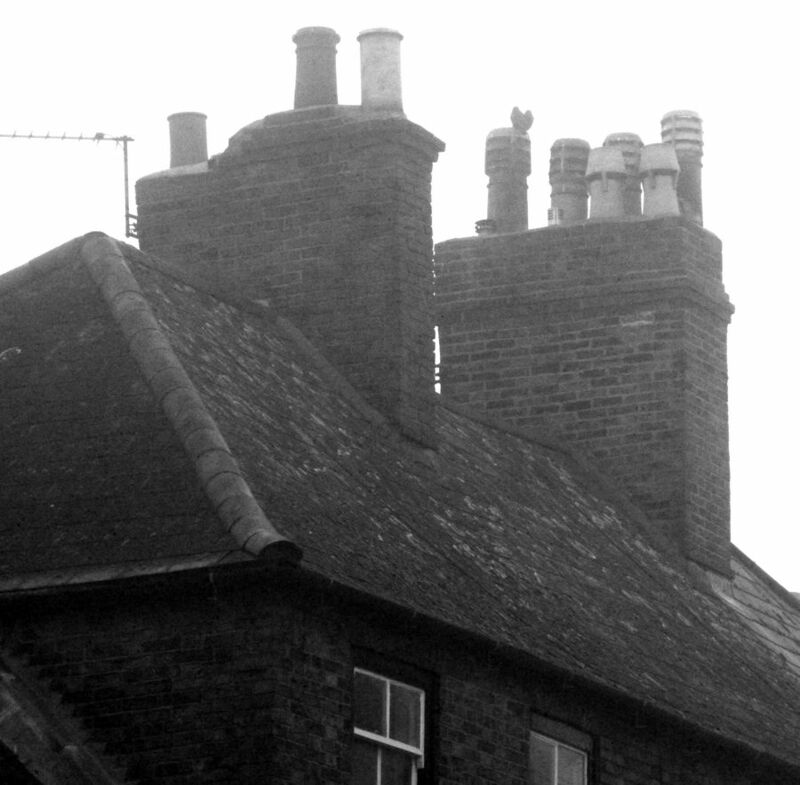 Besides being cramped places, typical English houses have lots of chimneys. Lovely, especially with the vintage beetle. 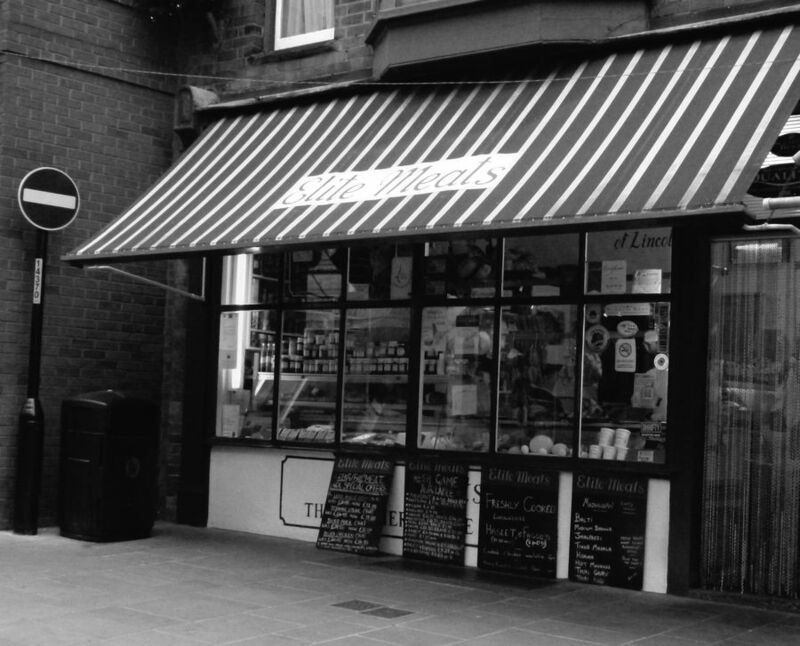 Traditional butcher's shop. We watched the delivery van unload sides of pork to be made into delicious pies or the famous Lincolnshire pork sausages. Had to leave a bit of colour in this picture. 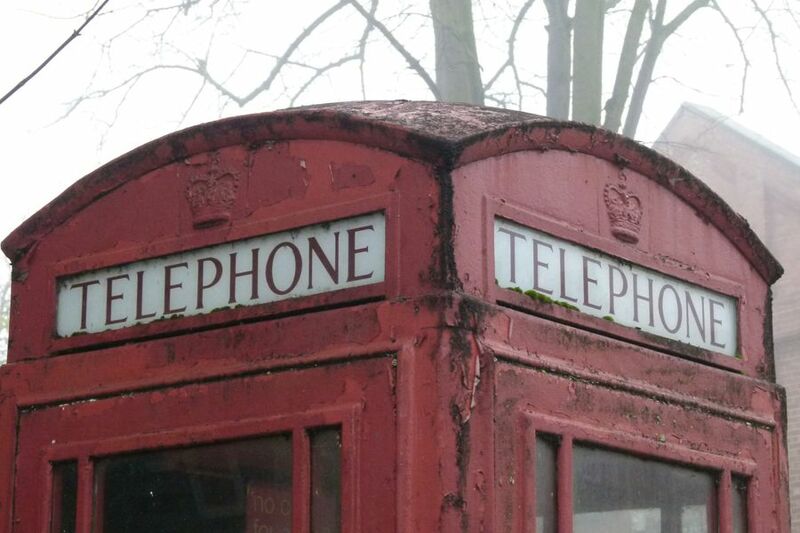 I find this phone box in a way symbolic for what we have seen on our visit so far. Quite often we get the impression that things are a bit threadbare and time-worn, albeit in a rather charming way. And the telephone works. This entry was posted on Thursday, November 24th, 2011 at 01:08	and is filed under english stuff, hingekritzeltes, trips. You can follow any responses to this entry through the RSS 2.0 feed. You can leave a response, or trackback from your own site.